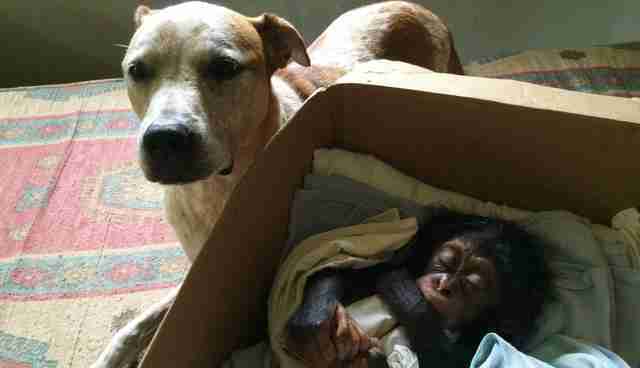 "Princess opens her heart and soul to the chimpanzees, allowing them a safe place to call 'home.'" 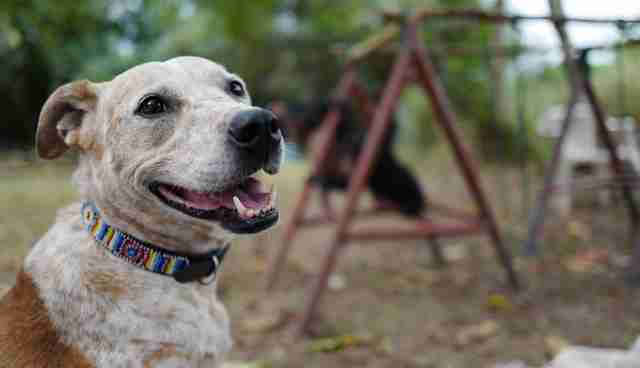 If anyone knows a thing or two about second chances, it's a dog named Princess. After all, she was barely a year old when Jenny and Jimmy Desmond found her at a shelter. Dumped and slated for euthanasia, Princess got her second chance with the Desmonds. They decided to foster her. But the thing about Princess is she knew what a good thing looked like. And she wouldn't give up the Desmonds for anything. So when potential adopters came to visit, she acted out, basically trying to make herself as unadoptable as possible. Figuring Princess was trying to tell them something, the Desmonds decided to keep her. 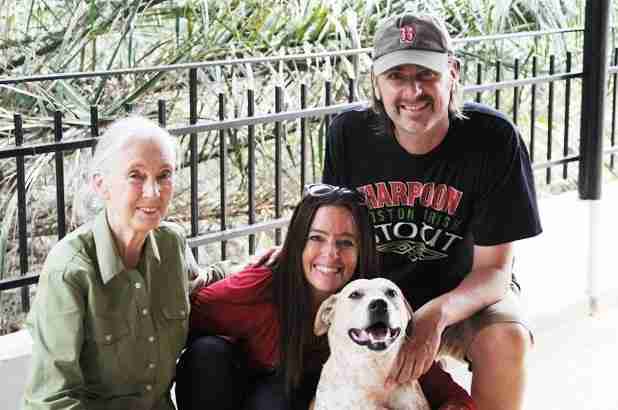 And together, this family of animal lovers embarked on their own odyssey - a journey that would see them live in nearly 10 countries, while giving countless animals in need a second chance. Of course, that was Princess' specialty. And she would be a very busy girl. The Desmonds' compassion for animals would take them to many countries, including Kenya and Liberia, where they live now. The Desmonds were there to pick up the pieces when the New York Blood Center abandoned dozens of chimps it had dumped on small islands off the Liberian coast. It could have been a death sentence for these apes, who suddenly found themselves without food or fresh water, had the Desmonds, along with the Humane Society of the United States (HSUS) and local rescuers, not thrown them a lifeline. At times, the Desmonds even worked alongside legendary primatologist Jane Goodall. 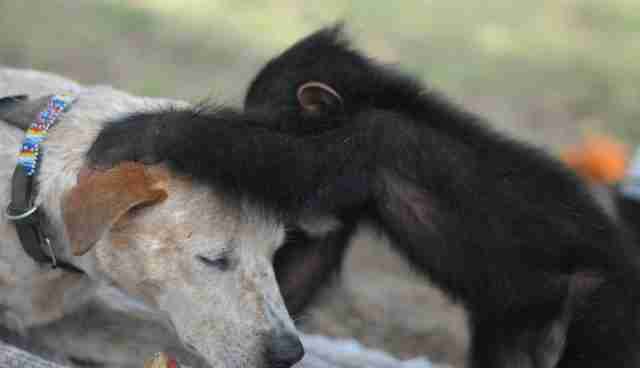 The Desmonds have since moved to Liberia - their compassionate canine always at their side - where, in addition to still supporting the abandoned research apes, they harbor and heal victims of the illegal bushmeat and pet trades. So far, five orphaned chimps have arrived at their doorstep, often in the arms of local wildlife officials who have heard of this family's gift for helping animals. And a certain dog wastes no time making them feel right at home. 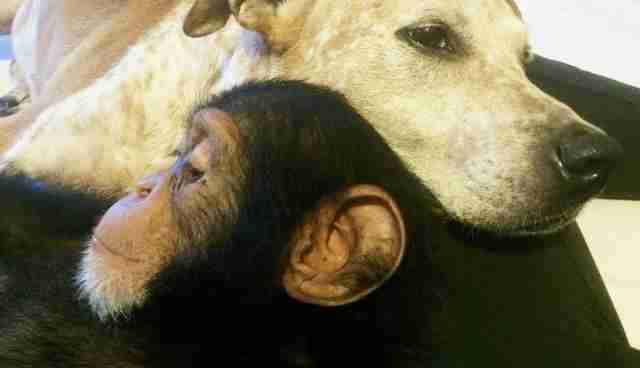 "Princess opens her heart and soul to the chimpanzees, allowing them a safe place to call 'home' and helping prepare them for their eventual integration into a new chimpanzee family at the rescue center," Jenny tells The Dodo. Desmond stresses that these chimpanzees are not pets. Many of them lost their mothers to poachers. 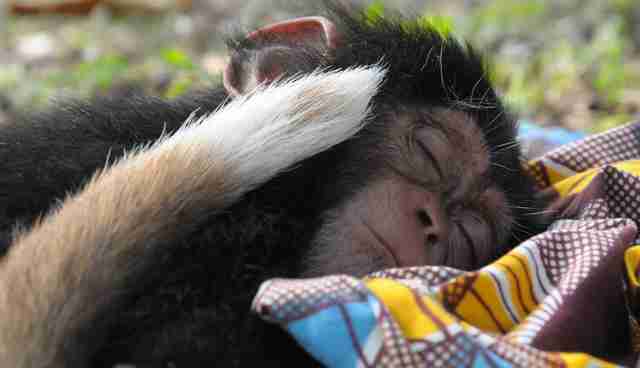 "They are being rehabilitated in Liberia so they can one day live with a chimpanzee family, where they belong," she says. Indeed, that's the next step in this journey - the Desmonds are working with HSUS and the Liberian Forestry Development Authority, among other partners, to build Liberia's first chimpanzee sanctuary. 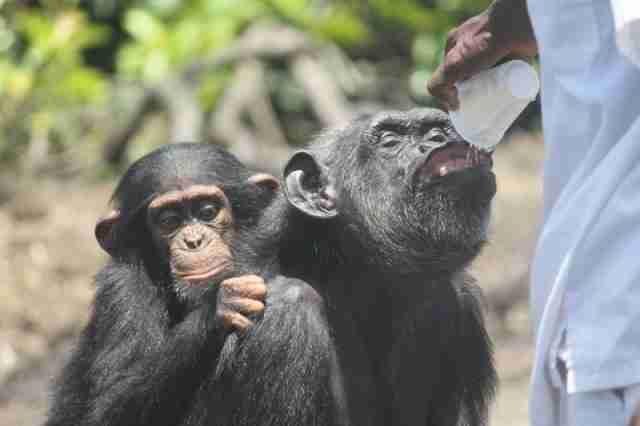 "We have a list of more (chimps) in need as soon as we have the capacity and resources to take them," Jenny adds. 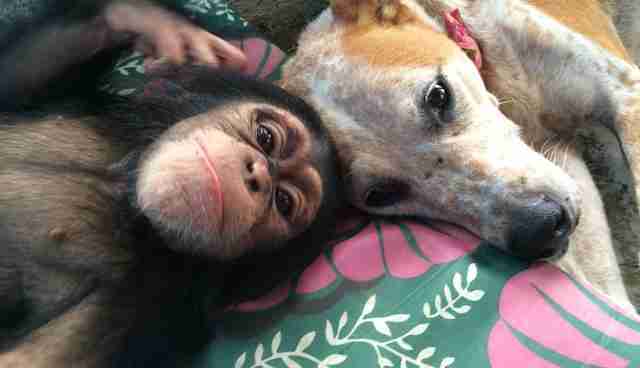 "The goal is to provide care and give them a future lifetime with other rescued chimpanzees, not humans." And Princess will be there with them every step of the way. 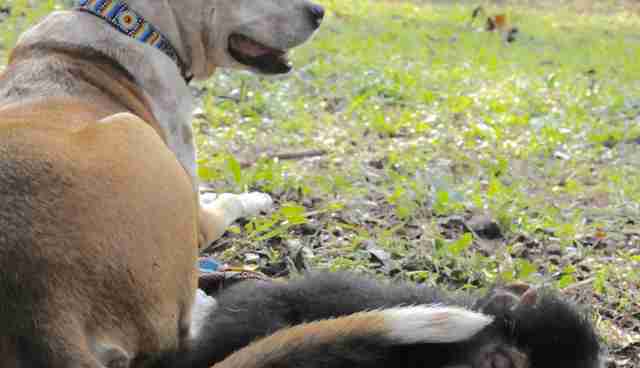 Want to support this family's mission to save countless animals? Join them on their Facebook page.